When Trump seemed to completely ignore the deaths of the four Green Berets killed in Niger on 04 October, it seemed strange. He wasn’t ranting about the terrorists who had killed the soldiers, but instead was on the golf course. Not a tweet, not a news conference, just silence. Something was fishy … but what? Then reporters began asking why he had not contacted the families of the slain soldiers, and people began asking questions. We now have the answers. Friend Gronda has put together a post that clarifies what, exactly, happened and why, and I urge you … nay, I beg you … to read this. It will make your blood boil, but you need to know … the world needs to know … that the blood of those four soldiers is on Donald Trump’s hands. Many thanks, Gronda, for helping us to understand how the dots connect. Rachel Maddow on her October 19. 2017, MSNBC TV show connected the dots regarding the October 4, 2017 tragedy in Niger where 4 Army green beret soldiers were ambushed and killed; how the president’s travel ban on Chad exposed these soldiers to harm; and then why the republican President Donald J. Trump avoided any discussion of what happened in Niger until confronted about this subject by a reporter at the 10/16/17 Rose Garden press conference. 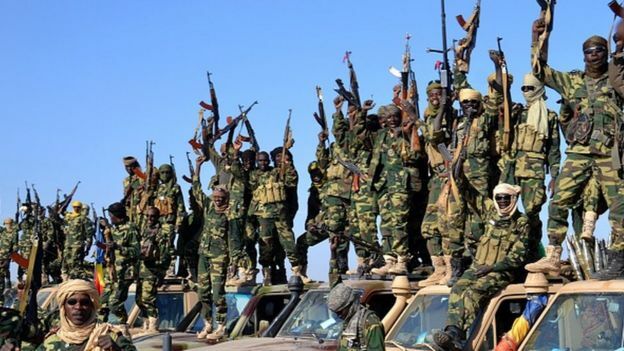 It had been reported 7 days ago that Chad military forces had pulled out of Niger after the republican President Donald Trump instituted his travel ban which included the African country of Chad. It turns out that the Chad soldiers had been keeping the terrorist group, Boko Haram and Islamic extremists like ISIS at bay in Niger. This entry was tagged 4 soldiers killed in Niger, Africa, Boko Haram, Chad, Donald Trump, Gronda Morin, Rachel Maddow, Rex Tillerson, travel ban. Bookmark the permalink. Once again thank you Jill. Is your President evil, or just stupid? Thanks a million for the reblog. This story has legs because there is still a lot that doesn’t make sense like why was Sgt. La David Johnson found at a different location from the other three American soldiers. I suspect that the world will know about it before long … at least that is my hope. I wonder how he will try to wriggle free of this one … who he will blame? Hugs!! !